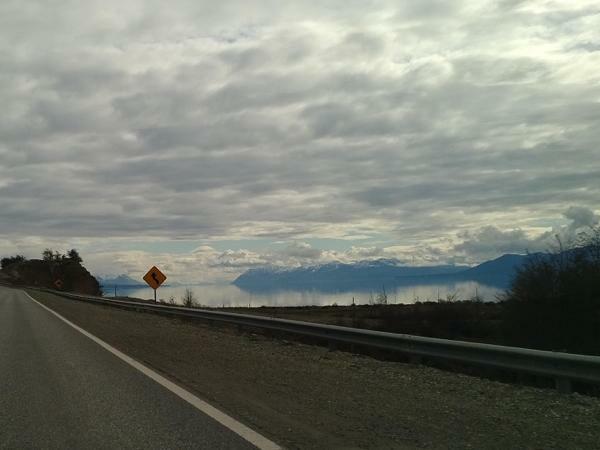 Traveler Reviews for Private Tour in Ushuaia, Tierra del Fuego, Argentina by Tour Guide Paula G.
Paula made our trip to Ushuaia so enjoyable. Her suggestions on what to do and her knowledge of the area were excellent. She was very flexible about our desires to stop or spend an extra minute here or there. That's why we like a private tour with a local guide. She is why we choose Tours by Locals! Our group of 8 highly recommend her as a choice when choosing a guide! Paula was a total joy! Informative, spoke impeccable English, prompt and very professional. She took us to the beautiful glacier lakes of this beautiful port. We stopped in a local deli like store where we had local sandwiches, empanadas ( scrumptious) and delicious local pastries! The land is magnificent and we were entertained for more than 5 hours by Paula, who knows her history, geography and geology! Muchas Gracias Paula!! And her van was perfect for the6 of us traveling! We saw beautiful terrain. TOUR GUIDE RESPONSE: Thanks Helen!!! YOU made my day!!!! I'll never forget this enjoyable group!!! Kisses and hugs to all of you! Paula was a great guide, she arrived at the port early to meet us, and her vehicle was a very spacious Hyundai people carrier. Her English language is excellent and you will have no problems being understood and understanding her. Our tour was about five hours, plenty of photo stops and Paula will take you to a great bakery. Have the empanadas and a pastry. Next time we come back to Ushuaia we will be contacting Paula to do a different tour. TOUR GUIDE RESPONSE: Thanks Michael!!!! Great to hear that you liked it!!! I hope you´ll have the best memories of Ushuaia! Regards!! Paula was a great guide. She showed us all sorts of interesting things in and around Ushuaia that were off the beaten track, in addition to the Escondido and Fagano Lakes, which were the focus of the tour. Her English is excellent, as was her knowledge and her ability to answer all of our questions. We highly recommend her to anyone coming to Ushuaia. TOUR GUIDE RESPONSE: thanks Kenneth!!! I feel great when you enjoy this beautiful place!!! lots of love to the whole group!! Paula was very attentive to our needs. She was on time, knowledgeable and accessible. We had a wonderful time in Ushaia which she made all the more enjoyable. TOUR GUIDE RESPONSE: Thanks a lot mr Mayer!!!! I really appreciate your comments. I'm sure you're having a great time back home!!! Send a big hug to the guys! Take care! !